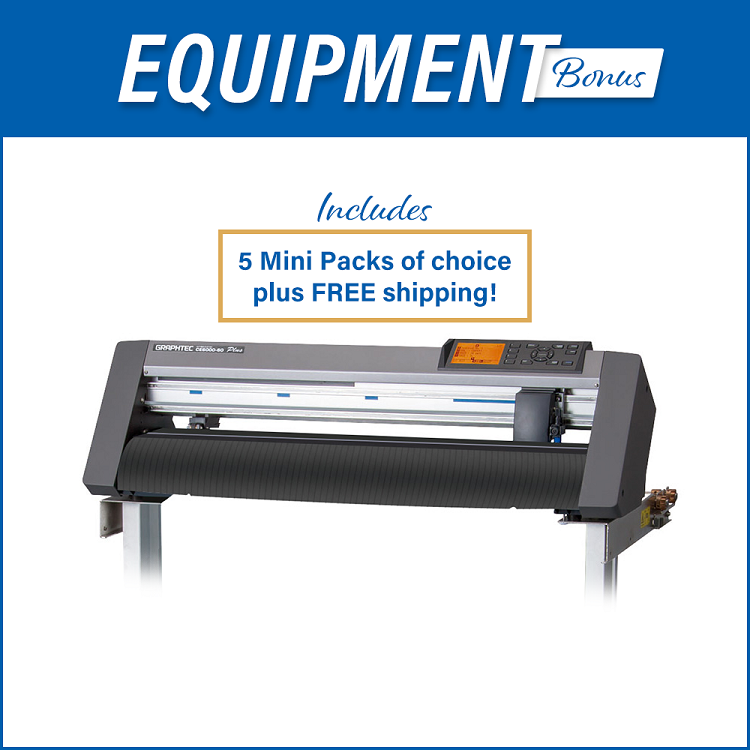 The CE6000-60 Plus series is Graphtec's professional class of cutting plotters, and updates the extremely successful CE6000-60 series with improved features. The CE6000-60 Plus series is also cleaner, "greener" with an electronic design and manufacturing process that minimizes the environmental impact of the hardware equipment throughout its entire life cycle. With an increased 450-grams of downforce, Graphtec CE6000-60 Plus offers top-quality cutting and production of vinyl and flock material for rhinestones. It comes with the new cloud-supported Graphtec Pro Studio design software for free, an $800 value, and makes for an opportunity for new business owners to get started or expand into the custom apparel and decal designing industry. **For Mac Computer Users: The software and drivers that come with this cutter are not guaranteed to be compatible, even if you are operating Parallels or Bootcamp. ***For cutting Magic Flock: The Graphtec CE6000-60 Plus comes with a 45 degree blade for cutting vinyl. You will need to purchase a 60 degree blade to cut our Magic Flock rhinestone material.